Before there were mobile devices, there was worry. Summoning help after an accident or breakdown left a driver stranded roadside depended on a payphone being within walking distance, the kindness of a passing stranger, or a timely police patrol. Today, however, one need only pick up a smartphone and summon a friend, relative, or tow truck to their exact location for a fast rescue. Thanks to technology, the question of how to summon roadside assistance has been replaced by the question of whom to call for help. Today, there are a number of options available for securing roadside assistance 24/7, even when you’re stranded in unfamiliar territory. We’ve listed several below. 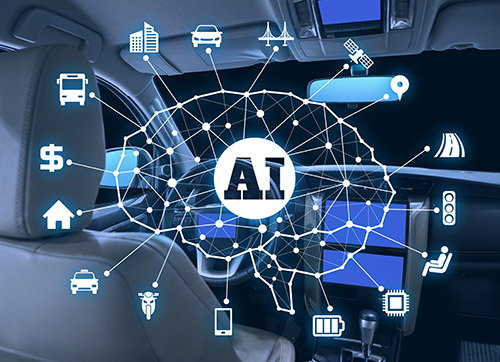 Wireless providers – some mobile phone service providers offer vehicle health monitoring and roadside assistance through an app and monthly subscription. Thanks to your wireless device, the provider already knows your exact location even when you don’t, and can send help as soon as it’s requested. On-board safety systems – many new vehicles come factory-equipped with an on-board safety system that automatically summons help when it detects airbag deployment or when a driver asks for assistance. Vehicle manufacturers – many vehicle manufacturers offer owners emergency roadside assistance for as long as they own the car. The number to call is usually listed in the vehicle owner’s manual or on a window sticker. Insurance carrier – check with your vehicle’s insurance carrier. Many auto insurance companies offer roadside assistance as a standard feature or as an available add-on for their policyholders. State police – while it varies by state, the highway patrol or state police can be contacted by dialing a designated code usually publicized on highway signs, such as *HP or *SP. 911 – being stranded on the side of the road certainly constitutes an emergency and no one is going to fault you for calling 911. And remember, even an inactive cell phone that isn’t covered by a wireless carrier or plan will still connect with an operator when 911 is dialed. State DOT – on major highways, many state departments of transportation have programs that feature branded vehicles – often with yellow caution lights – traveling up and down the highway around the clock, ready to assist drivers who need a gallon of gas, a tow to the nearest mechanic, or help changing a flat. 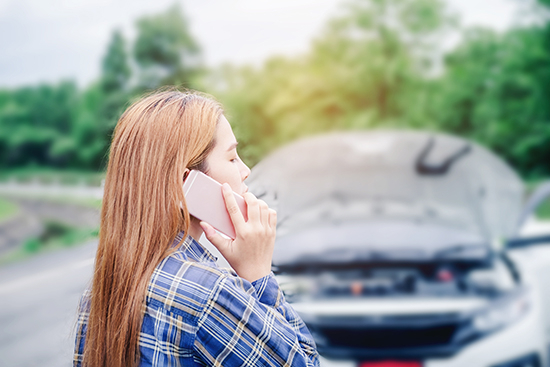 Auto clubs – in addition to offering members discounts and vacation-planning services, most national auto clubs offer their members emergency roadside assistance as part of the annual subscription fee. Search Engine – from your smartphone, use your preferred search engine or online map provider/locator service and search for “roadside assistance.â€ Options based on your location will appear. The key to summoning roadside assistance isn’t necessarily knowing exactly whom to call when an emergency strikes. Instead, drivers should ensure their mobile device is with them when traveling and fully charged or with a way to charge it from the road, and they should investigate several options for roadside assistance before hitting the road.